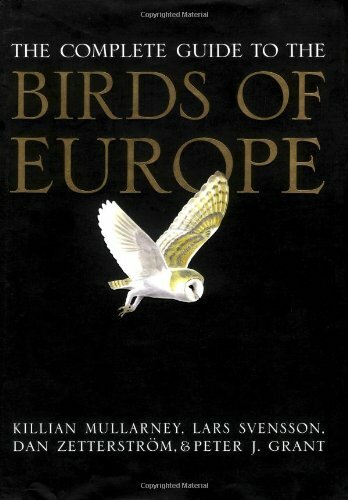 This was another banner year for books of interest to world birders. Here are the winners. Further comments and additional awards may be added. 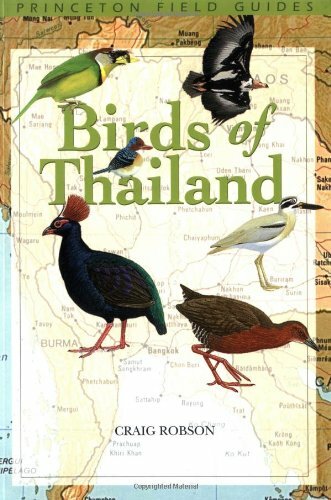 I wish to thank the authors, artists and editors who have toiled to make these fine bird books available, usually for minimal financial gain. Josep Del Hoyo, Andrew Elliott, Jordi Sargatal (eds.) Handbook of Birds of the World, Volume 7. Lynx Edicions. This series is of very high quality in all respects and seems to improve with each volume. Volume 7 opens with a special, well-illustrated section on extinct birds. 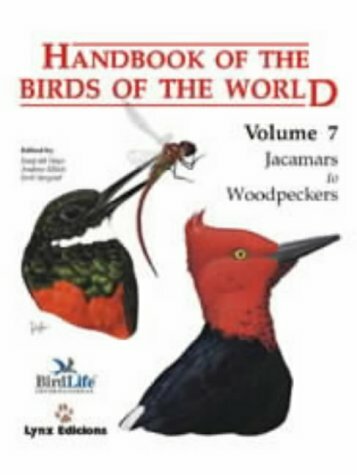 The species covered in the text of this volume include woodpeckers, barbets, toucans and honeyguides. Neil Glenn. Best Birdwatching Sites in Norfolk. 224 pages. B/w illustrations by Alan Harris. Cover illustration of Marsh Harrier by Jan Wilczur. Buckingham Press, buck.press [at] btinternet.com. 2002. ISSN: 0144-364. Review by Dave Gosney. This outstanding site guide provides detailed information, including telephone numbers, entrance requirements, maps, and birding highlights for 73 reserves in Norfolk, which probably is the most intensively birded county in the world. While not in the "where to find birds" style, it probably will be more useful most of the time because visitors are likely either to go out with local birders who know their way around or to follow directions to vagrants reported on the birding information services. 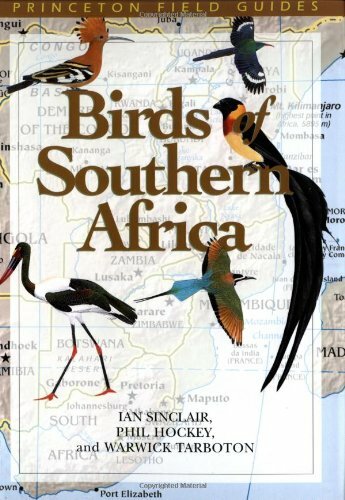 The publication of Birds of Western Africa represents the greatest ornithological achievement of 2002. 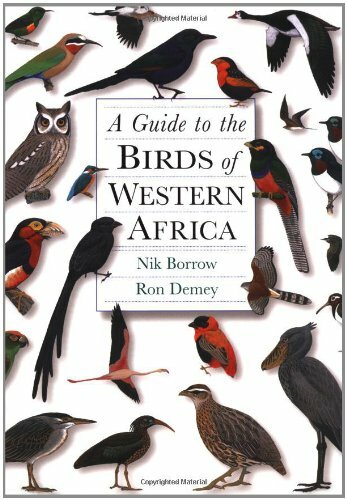 Although West Africa is rich in birdlife and endemics, this is the first modern field guide covering the preponderance of the area. Furthermore, the color plates are a one-man tour de force by Nik Borrow. Bird books usually are more appealing to the eye when the plates are all by same artist or by artists with very similar styles, and this is no exception. Twitchers will appreciate the authors' decision to highlight in red on the facing plate notes the status of birds on the endangered species list. However, those species represent only a fraction of the endemics that are rare and undoubtedly threatened in the foreseeable future by Africa's unending population explosion and the resultant wholesale elimination of natural habitats. There is excellent coverage of the birds of the Gulf of Guinea Islands -- São Tomé, Príncipe and Annobón, all of which hold interesting and endangered endemics. 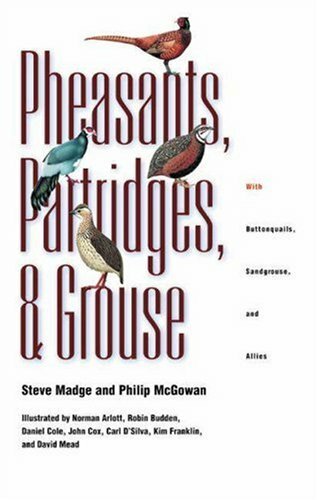 See the detailed review by the late G. Stuart Keith in Birding, 35(1): 86-88 (February 2003). Birders heading to West Africa should also take along the recently published (2003) compact guide by Ber Van Perlo, which might be carried in the field while this volume remains in the car. In addition to major taxonomic updates and coverage of additional species, the newest edition of the SASOL guide features enhanced usability that makes it one of the world's best designed field guides. In fact, it is so appealing that I would recommend that anyone writing a field guide obtain this book and copy the format. The text and illustrations are the best of any African bird field guide to date. The latest volume of HANZAB covers many species of little brown birds of considerable interest to twitchers such as gerygones, thornbills and whitefaces, along with distinctive species such as the bristlebirds, logrunners, quail-thrushes, whipbirds, and Crested Bellbird. More information has been gathered in one place on each species than in any prior publication, and a detailed bibliography follows each species account. There are maps and color illustrations of every species and sonograms for most. HANZAB Volume 6 goes far beyond the fine Australian field guides, not only in its detailed descriptions of the birds' behavior, distribution, movements, and conservation status, but also on many points relevant to field identification. Thus, for example, there is more than a full page on the voice and vocal behavior of Western Whipbird. Extensive descriptions of similar species and how to distinguish them are particularly useful for trip preparation. 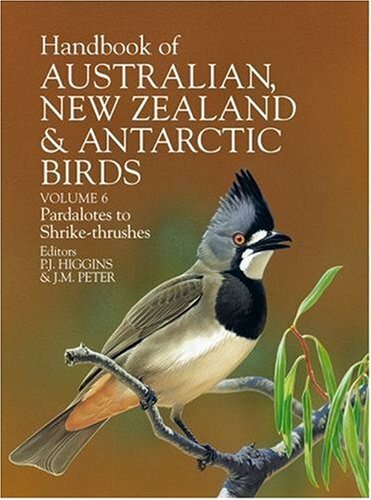 In sum, this set is the essential reference on the birds of Australia and New Zealand. 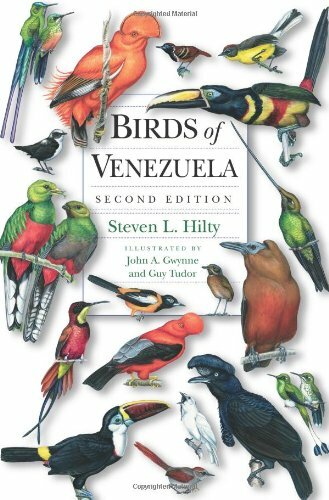 The new edition of Birds of Venezuela is about twice as large as the first edition, with a vastly improved text and replacements for the most problematic plates. From published and unpublished literature and his own and others' personal observations, Steve Hilty has compiled comprehensive field identification notes for each species, along with detailed distributional information and range maps. He also has incorporated the latest taxonomic revisions, for example, the split of Hepatic Tanager into four or five species. The color plates by Guy Tudor remain among the finest field guide paintings every published. Unfortunately, due to varying color quality control of the reprinted plates, some illustrations came out too light, distorting field marks that could be seen in the well-printed first edition, such as the red iris of Rufous-tailed Tyrant (plate 45). However, a few of the paintings are sharper than in the previous volumes -- compare, for example, the bright Laniisoma on plate 50 with the original reproduction in Birds of Colombia. In a very short time, Hadoram Shirihai with editorial assistance from Guy Kirwan, has produced two of the finest recent natural history books -- the current volume and Sylvia Warblers, winner of a 2001 WorldTwitch award and the best bird family volume to date. The Antarctic guide is an incredibly comprehensive book that is useful for both broad and narrow purposes. 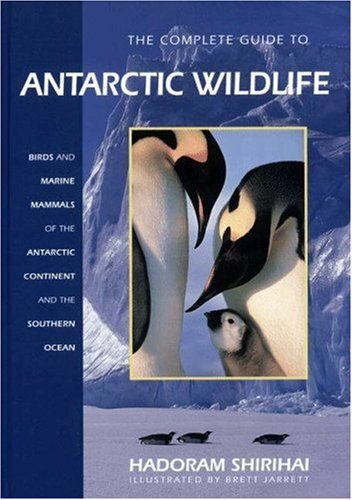 This is the place to begin to understand the natural history of the Antarctic region, yet it is also is useful in preparing for a trip and probably is the best available field guide for most areas covered. The book has been printed entirely on glossy paper, since nearly every page includes color illustrations and maps. 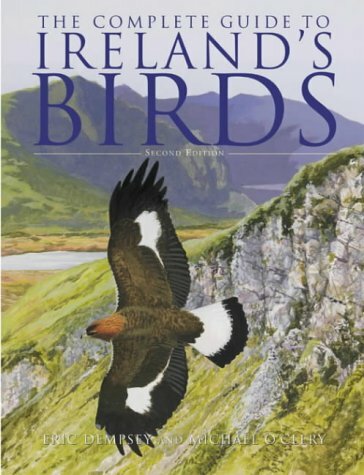 This is one of the finest books on a bird family published to date. 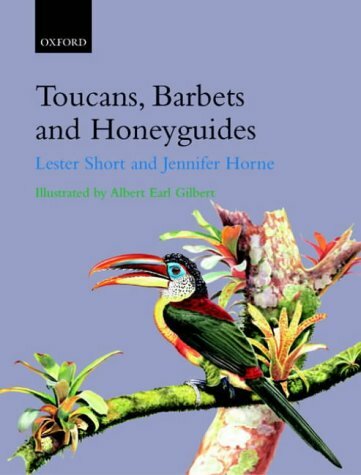 The authors have condensed their encyclopedic knowledge of the toucans, barbets and honeyguides into a highly readable volume, with great emphasis on characteristics and behavior observed in the field, including associations with other species. 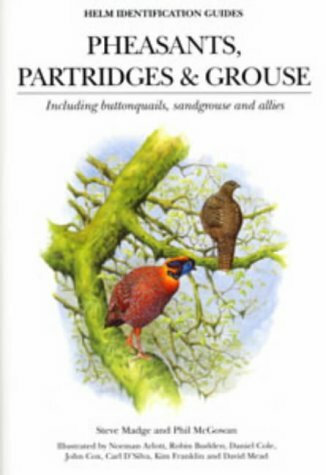 The bird families covered by this authoritative guide are of particular interest to twitchers. Many of the largest and most brilliantly plumaged species skulk in dense forest or scrub, rarely allowing more than a fleeting glimpse. The text includes details relevant to field identification that sometimes are more useful that the plates, many of which appear to have been painted without field experience with the birds. Thus, for example, both the Black Wood-Partridge of Malaysia and Long-tailed Wood-Partridge (Tree-Quail) of Mexico are likely to be seen with tail cocked up -- the former resembles a rail and the latter a rooster -- and not as illustrated with tails down. 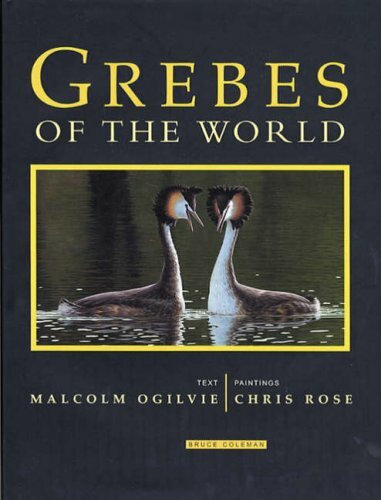 This is a beautifully illustrated, large format survey of the grebes of the world, with narrative text by the waterfowl authority Malcolm Ogilvie. Each full-page plate shows a grebe species in its natural habitat. The artist's depiction of water, especially reflections and shadows, is as interesting as the birds themselves, and brings to mind the illustrations in the Birds of Greenland. 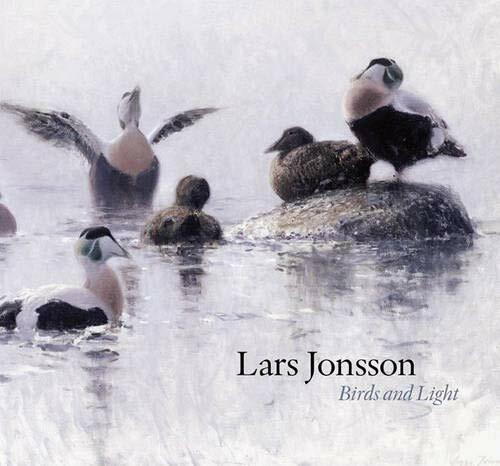 Lars Jonsson is one of the world's finest bird artists, best known for his series of European field guides, culminating in Birds of Europe, the brilliant field guide that nearly everyone used in Europe prior to the publication of Mullarney & Svensson. 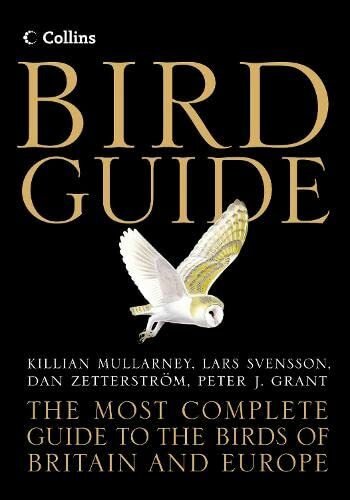 This is a classic gift book for anyone interested in birds or fine nature art. Monterey is the U.S. port with the largest number of scheduled pelagic birding trips. Consequently, most serious North American and world birders visit Monterey, often repeatedly. While in the area for a pelagic trip, there are many possibilities for land birding in the great variety of habitats within Monterey County. Don Roberson has produced a book of the same high quality as his Creagrus website. I used the first edition so often that it is now falling apart. The new second edition is about twice as thick as the first, and is packed with information helpful in choosing the time of year for a pelagic trip, planning your trip and finding and identifying wanted birds. Sweringen, J., K. Reshetiloff, B. Slattery & S. Zwicker. Plant Invaders of Mid-Atlantic Natural Areas. National Park Service and U.S. Fish & Wildlife Service, Washington, D.C. 2002. 82 pages. Color photos. Details. Free.